In the upcoming November 4 election, the Fairbanks Local Schools will be asking voters to approve an emergency operating levy due to increased expenses the last few years. Gas prices, unfunded mandates, and inflation have made it necessary to increase the funding a bit as well. Personally, I can attest that the treasurer's office and administrators do a fantastic job at budgeting and spending your tax dollars effectively. Our district does not have a lot of frills or extravagant spending, operating well on just enough money. Because of this, when cuts have to be made, they hurt in obvious spots. Busing. Teachers. Extra-curricular activities. Foreign language. Music. To learn all about what this levy means to you, your schools, and your music department, please visit yesfairbanks.org and read all of the levy information. 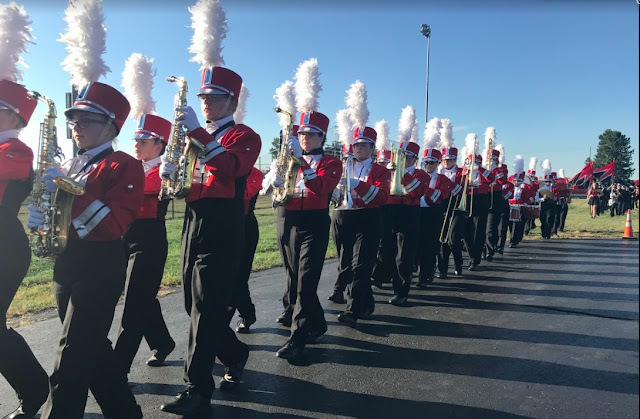 It won't cost that much more to you and your family, and its passage will continue the fine education we provide here at Fairbanks. 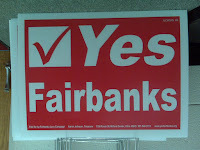 Also, "Yes Fairbanks" signs are available in the high school office, board office, and elementary school office if you would be so kind as so show your public support for our levy and our cause.